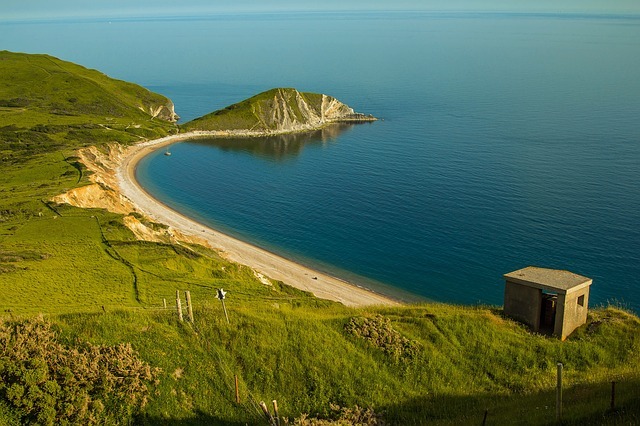 MUST SEE: Worbarrow Bay is a beautiful unspoilt location twenty minutes walk from the car park at Tyneham Village. Getting there: Worbarrow lies just over a mile west from Tyneham on the coast. From Tyneham Car Park head south on the unmade road that initially leads towards Tyneham Farm and the toilets. The road then turns right heading away from Tyneham Farm and the toilets in a westerly direction. Follow this track west to Worbarrow Bay. 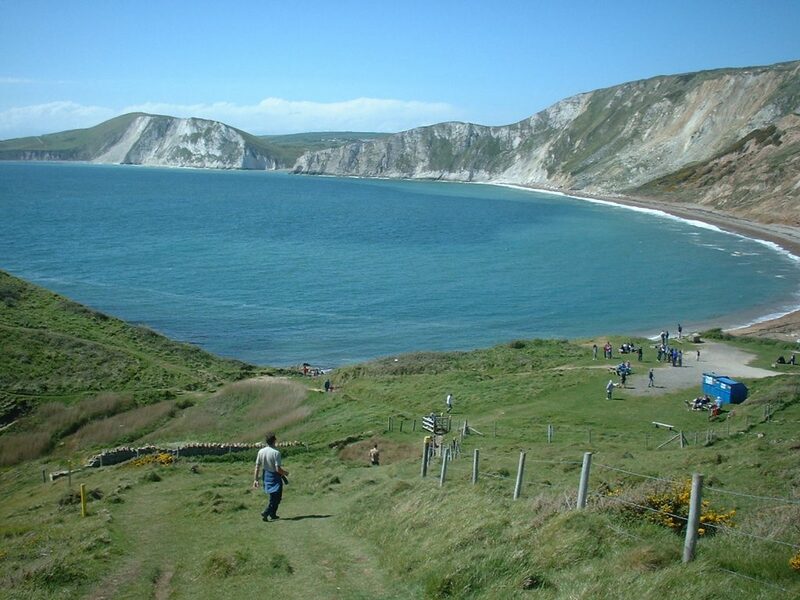 There is a stony beach overlooked by Worbarrow Tout which the more energetic can climb. Swimming is allowed but children should be supervised as the beach shelves steeply as you enter the water. 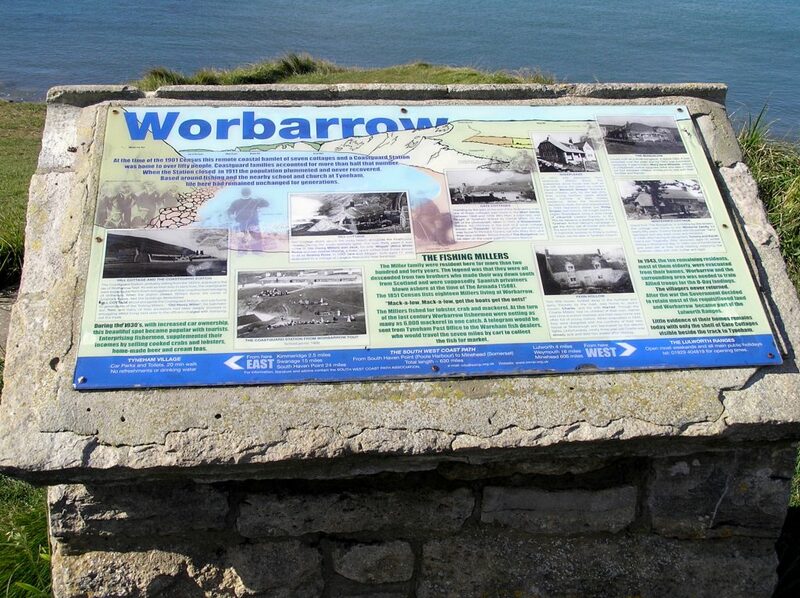 No buildings remain intact at Worbarrow. At one time Worbarrow was home to over fifty people. Check out the storyboard.